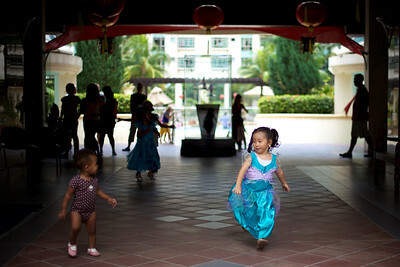 The girls having a great time at Shiqin’s “princess dress up” birthday party. Everyone had a chance to have their photo taken by Shiqin’s dad. And of course, running around the “palace grounds” just like little princesses do! she looks like little princess.